Gorgeous, love the beautiful image and cute little butterfly. Have a wonderful weekend. Simple and cute! Great image and the sentiment works perfectly with it. Thanks for playing with The House That Stamps Built. So Pretty and wonderful coloring.. Lovely design! 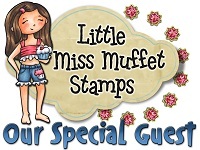 Thanks for playing along with us over at SumMore Fun Stamp Challenge! What pretty card. I love your coloring! Thanks for joining us and good luck! Super colouring and fussy of your panel. Love those sweet birdhouses! I find that the birds that come to my yard prefer to improvise when coming to housing! I think only 1 birdhouse of mine has ever gotten occupants! But they love to make nests in my gazebo! Your card is lovely!! Super sweet card Connie. Thanks for sharing at ATSM this week. Beautiful coloring of those birdhouses! Lovely card! Thanks so much for linking up to the Tic Tac Toe Challenge over at The House That Stamps Built! 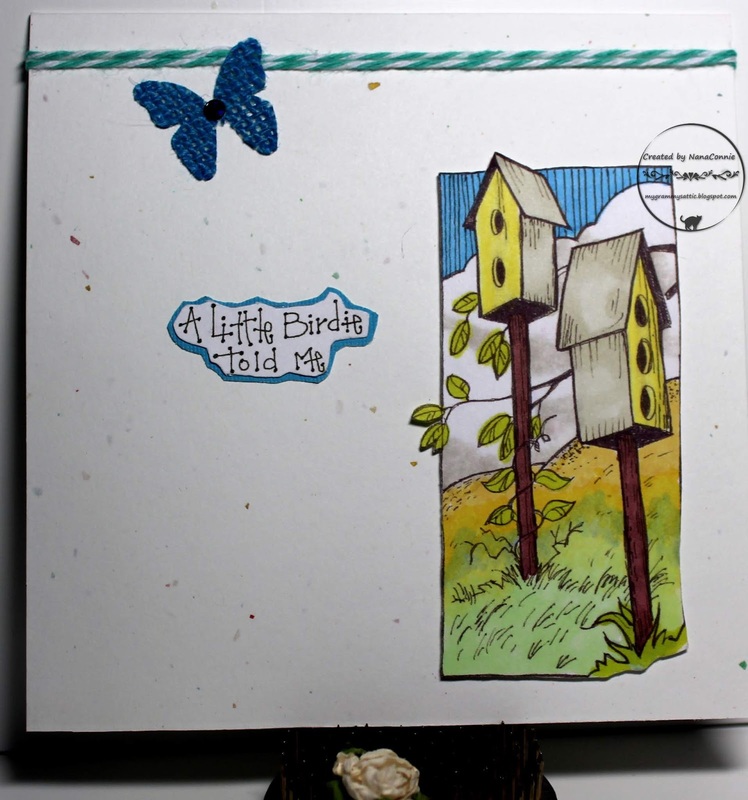 Very nice card, bird houses look great. Your card is so sweet! I love those bird houses. Thank you for joining the SumMore Fun mood board challenge. So cute!! 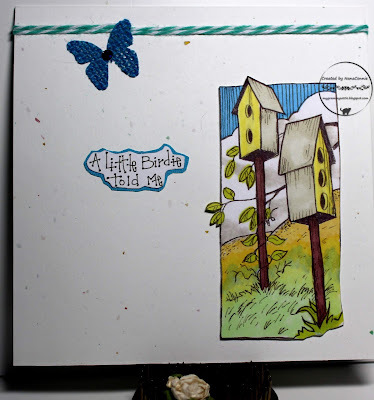 Love the bird house image. Thank you for joining in our Mood Baord Challenge at SumMoreFun.